I have been reading cards now for thirteen years, at first I was afraid to let anyone know that I had this gift to read the cards, for fear people would look at me weird and criticize me, but with the loving support of my family and friends I have been doing this professionally for about three years now. I give insights from my cards into your situation or question. I feel this is GOD'S way for me to help you. Here is what you can expect from me if you get a reading! I will do a three card connection with you to see if I am reading you or the situation correctly, and if I am then and ONLY THEN if we have connected we can continue with the reading. IF interested in this opportunity, since we will already be in paid chat I will tell you we are not connecting and we can discontinue the reading. If we don't connect I will refer you to someone else that will be better able to assist you. I do a three card connection because I feel I should know a little bit about YOU or the SITUATION with-in three cards and most of the time it works!! For the connection I will need to have you to tell me right off how many times to shuffle the cards, your name, name of person involved if any, and question/questions. Please be prepared to hear only the TRUTH!! I only tell what I read in the cards GOOD and BAD. Only if you are ready to hear what is truly in store for you please contact me!! I am glad that I have this gift and am able really to HELP people. My clients that I have had said that I was very on target for them, and that they would come back. I have had many people come back, and have done tarot parties for one of my repeat customers. I truly feel I can help you...PLEASE let me do that! I use the cards as guides and are intended for the client to use them as guides as well...the cards are for a POSSIBLE outcome and are NOT to be used as a tool that you HAVE to follow or your future or life depends on it!! I only give you ADVICE on things to look out for or CHANGE for your future..it is up to YOU the client what you do with the information provided and I am in no way held responsible for what you decide to do with the information. You must also be 18 years of age or older to use my services!!! My hours that I am available will vary Mon - Sat and Sundays I am off. If you would like a reading and I am not available please leave me an email and we will set-up a time to meet online! I have been charging for quite a few years now for my service. I mainly do these cards at home, but as I mentioned in my other information I also do tarot parties, just to show you that I do have qualifications and experience in this field. To begin your Live Psychic Reading with StarzRainsLovingInsight Click Here.
" BEST READER EVER!! She is kind, insightful, and right on the mark. I trust her "
" She was awesome and comforting "
" Rainslovinginsight is in a class on her own!! She reads very truly and has powerful insights. A huge treat when she comes online!!!!" 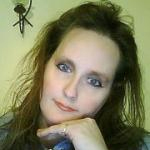 " StarzRainsLovingInsight is awesome and she picked up on my situation. I will be back tp let her know what hapens. :) 5 stars for this Reader. " " very good reader. she was exactly correct on a time frame so i came back to speak with her again." " excellent reader. picked up on situation exactly without any information. i highly recommend her." " Rains Loving insight provided quick, clarity and reassurance. This is my 1st experience with a chat session and with her. I'm sorry I could not extend the session but would try her again. I felt a very loving presence with her and felt she connected quickly with my question. "